Summer is almost over but we are sure that you have great stories and memories to share with us: a cool party with old friends, a great family meeting or just a funny dinner with the kids. Sometimes most of the best conversations take place around a table or enjoying a drink while sitting on a nice sofa outside. 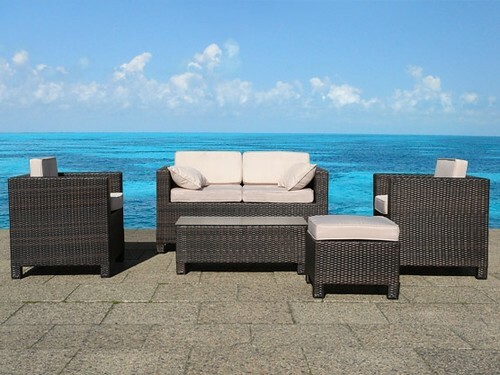 Share with us your best anecdotes or conversations of this Summer 2013 and win a $300 voucher that you can spend on an outdoor sofa set by Beliani. The next step is start dreaming about summer 2014 and the stories that you are sharing with your guests. How to participate? It’s easy! leave us a comment to this post telling the best anecdote, story or conversation that you enjoyed this summer on a patio or deck. We will randomly draw a winner. There will be multiple contests throughout the year. You can participate in every draw, but may only submit one comment per draw/contest. Even though not a requirement for participation, we appreciate your tags and bookmarks! as well as your like on our FB page: https://www.facebook.com/beliani.usa We will not share any emails nor use them for any marketing purposes, we simply ask for them so we can contact the winners. Your personal details will not be visible to other users. By entering the contest you confirm to have read and agreed to the Contest Rules. Good Luck!